The Canadian network Teletoon is slated to air Batman: The Dark Knight Returns, Part One and Batman: The Dark Knight Returns, Part Two over two consecutive weeks as part of the network’s Friday Night Superhero Movie programming block. The 2012 direct-to-video Batman: The Dark Knight Returns, Part One animated feature is slated to air Friday, February 14th, 2014 at 9:00pm (ET/PT) on the Canadian network Teletoon, followed by the 2013 direct-to-video follow-up Batman: The Dark Knight Returns, Part Two on Friday, February 21st, 2014 at 9:00pm (ET/PT). The weekly Friday Night Superhero Movie programming block on Teletoon, airing Fridays starting at 9:00pm (ET/PT), features a mix of super-hero and sci-fi-based movies, both live-action and animated. Adapting the acclaimed 1980s comic series, Batman: The Dark Knight Returns finds the Dark Knight, along with new sidekick Robin, battling iconic villains and facing down Superman. Both Batman: The Dark Knight Returns, Part One and Batman: The Dark Knight Returns, Part Two titles fall under the DC Universe Animated Original Movie line from Warner Bros. Home Entertainment, Warner Bros. Animation, and DC Entertainment. The DC Universe Animated Original Movie line is a regular fixture on Teletoon, with assorted titles airing multiple times throughout the year. 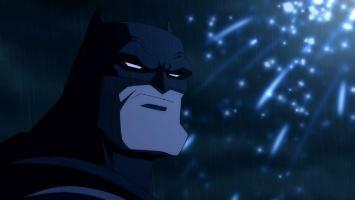 Official details on the Batman: The Dark Knight Returns, Part One and Batman: The Dark Knight Returns, Part Two animated features are available below, provided by the network. Another night falls over Gotham City and with the darkness out crawls the crime and villainy from the shadows. The days of The Batman and other noble super heroes are but faded memories; violence and despair are now the harbingers of our time. But one event will set a change into motion: when Harvey “Two-Face” Dent shuns a former rehabilitated life for a descent into corruption, an aged and weathered Bruce Wayne dons the mark and cape once more. 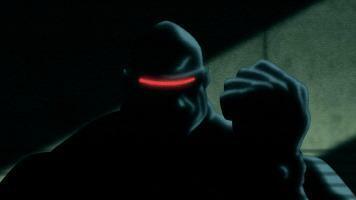 With a stellar voice cast headed by Peter Weller, Ariel Winter and David Shelby, this gritty DC Comics legend comes to life with unforgettable battles, thrilling chases and the promise of a better tomorrow for humanity, because there is nowhere for criminals to hide when the Dark Knight returns. Complete details on the direct-to-video Batman: The Dark Knight Returns animated features, including media and exclusive content, can be found at the Batman: The Dark Knight Returns subsite here at The World’s Finest. The 2012 direct-to-video Batman: The Dark Knight Returns, Part One animated feature is slated to air Friday, February 14th, 2014 at 9:00pm (ET/PT) on the Canadian network Teletoon, followed by the 2013 follow-up Batman: The Dark Knight Returns, Part Two on Friday, February 21st, 2014 at 9:00pm (ET/PT). The Canadian network Teletoon is slated to air Batman: The Dark Knight Returns, Part One and Batman: The Dark Knight Returns, Part Two over two consecutive weeks as part of Teletoon Superfan Friday programming block. The 2012 direct-to-video Batman: The Dark Knight Returns, Part One animated feature is slated to air Friday, October 18th, 2013 at 9:00pm (ET/PT) on the Canadian network Teletoon, followed by the 2013 direct-to-video follow-up Batman: The Dark Knight Returns, Part Two on Friday, October 25th, 2013 at 9:00pm (ET/PT). The weekly Superfan Friday programming block on Teletoon, airing Fridays starting at 7:00pm (ET/PT), features a mix of super-hero and sci-fi based programs. Adapting the acclaimed 1980s comic series, Batman: The Dark Knight Returns finds the Dark Knight, along with new sidekick Robin, battling iconic villains and facing down Superman. Both Batman: The Dark Knight Returns, Part One and Batman: The Dark Knight Returns, Part Two titles fall under the DC Universe Animated Original Movie line from Warner Home Video, Warner Bros. Animation, and DC Entertainment. 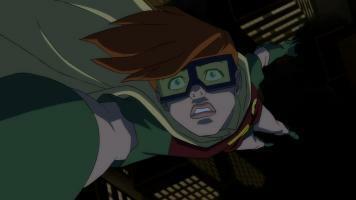 The DC Universe Animated Original Movie line is a regular fixture on Teletoon, with assorted titles airing multiple times throughout the year. Complete details on the direct-to-video Batman: The Dark Knight Returns animated features, including media and exclusive content, can be found at the Batman: The Dark Knight Returns subsite here at The World’s Finest. 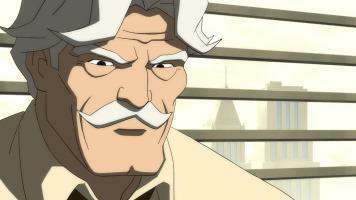 The 2012 direct-to-video Batman: The Dark Knight Returns, Part One animated feature is slated to air Friday, October 18th, 2013 at 9:00pm (ET/PT) on the Canadian network Teletoon, followed by the 2013 follow-up Batman: The Dark Knight Returns, Part Two on Friday, October 25th, 2013 at 9:00pm (ET/PT). 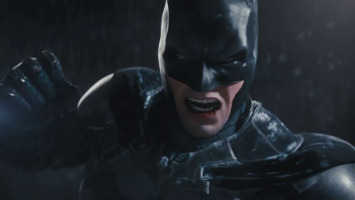 Click on the above images to view a “Batman: Arkham Origins” trailer and TV spot! Warner Home Video has released new video interview clips to promote the new Batman: The Dark Knight Returns – Deluxe Edition animated feature title. The special Batman: The Dark Knight Returns – Deluxe Edition animated feature release from Warner Premiere, DC Entertainment and Warner Bros. Animation is now available to own on Blu-ray, DVD and for Download. The new special release features both DC Universe Animated Original Movie titles Batman: The Dark Knight Returns, Part One and Batman: The Dark Knight Returns, Part Two, which were originally available separately in late 2012/early 2013, combined into a single narrative along with mix of both exclusive content and previously-released material. 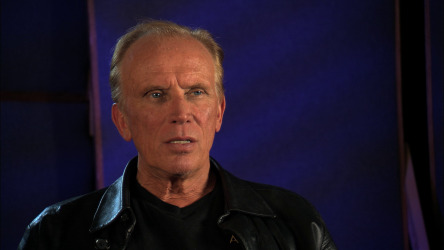 The new video interview clips feature Peter Weller, the voice of Batman, Michael Emerson, the voice of the Joker, and Mark Valley, the voice of Superman, discussing different aspects of the Batman: The Dark Knight Returns – Deluxe Edition animated feature. 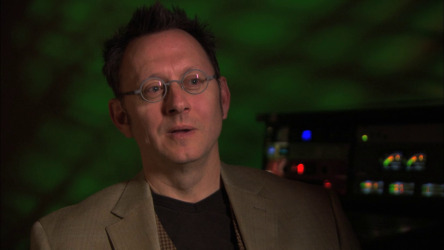 Click on the image below to view the interview clips, posted below in the MP4 format. The special Batman: The Dark Knight Returns – Deluxe Edition animated feature release from Warner Premiere, DC Entertainment and Warner Bros. Animation is now available to own on Blu-ray, DVD and for Download. Also available today from Water Tower Music is the Batman: The Dark Knight Returns – Deluxe Edition – Original Motion Picture Soundtrack release. The soundtrack is currently available for digital download through Amazon and iTunes, with a compact disc edition set for release at a currently undisclosed date. Click on the links below to discuss both the new Batman: The Dark Knight Returns – Deluxe Edition animated feature, its respective home video releases, and soundtrack. 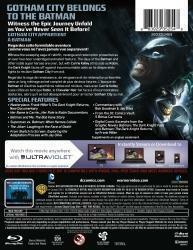 A co-production of Warner Premiere, Warner Bros. Home Entertainment Group, DC Entertainment and Warner Bros. 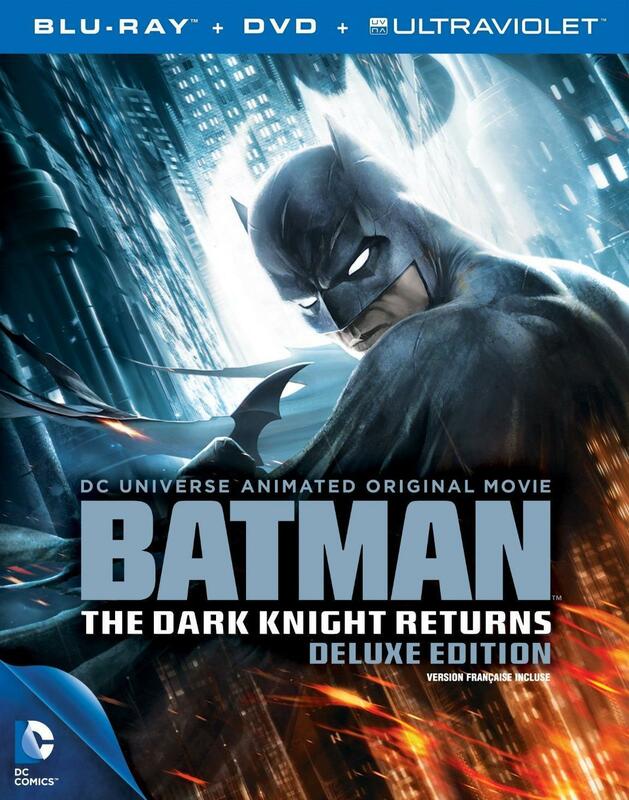 Animation, the direct-to-video Batman: The Dark Knight Returns – Deluxe Edition animated feature is now available to own across home video media formats. Stay tuned for additional content, updates, and coverage on this title coming soon. The special Batman: The Dark Knight Returns – Deluxe Edition animated feature release from Warner Premiere, DC Entertainment and Warner Bros. Animation is now available to own on Blu-ray, DVD and for Download. 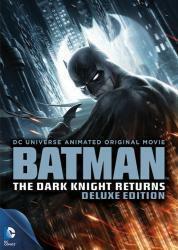 The new special release features both DC Universe Animated Original Movie titles Batman: The Dark Knight Returns, Part One and Batman: The Dark Knight Returns, Part Two, which were originally available separately in late 2012/early 2013, together in one package. The three-disc Deluxe Edition Blu-ray and two-disc Deluxe Edition DVD feature a mix of both exclusive content and previously-released material, in addition to both animated movies combined into a single narrative. The cover artwork for the current Batman: The Dark Knight Returns – Deluxe Edition separate home video releases are available below. 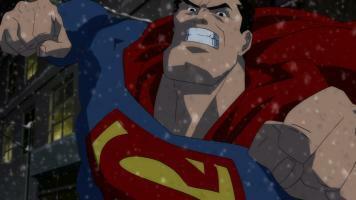 Further information on this DC Universe Animated Original Movie title can be found by clicking the images above. Also available today from Water Tower Music is the Batman: The Dark Knight Returns – Deluxe Edition – Original Motion Picture Soundtrack release. The soundtrack is currently available for digital download through Amazon and iTunes, with a compact disc edition set for release at a currently undisclosed date. 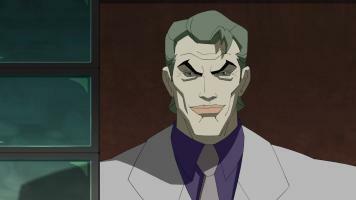 Click on the links below to discuss both the new Batman: The Dark Knight Returns – Deluxe Edition animated feature and its respective home video releases.